I know that this article has a cumbersome title. And I know that usually, the title will be the name of the place I’m talking about. That’s just easier for everyone. Like ‘Fort Lauderdale, Florida’ or ‘Whitby, Yorkshire’. You know where you stand. 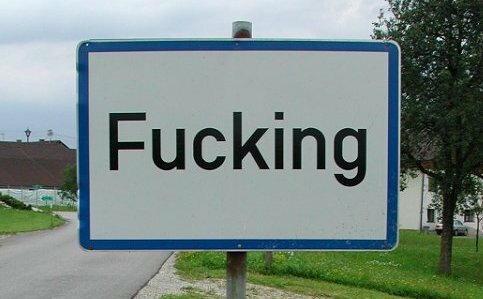 And why should an Austrian village need theft-proof road signs? Apart, of course, from the fact that people were often stealing them. But why? Well, this is one of the four signs on the outskirts of the little Austrian village. And I had quite a debate with myself. Do I put that photograph as the lead image? 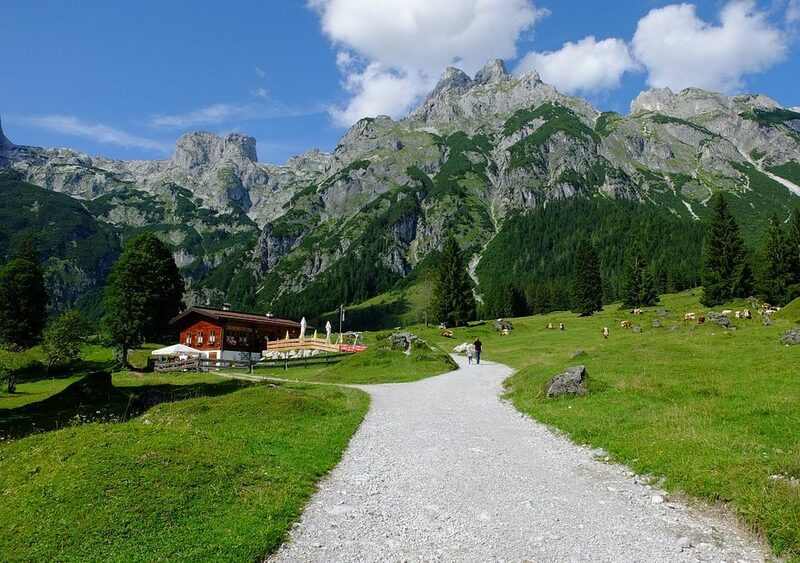 Or choose some nice scenery instead. I chose the latter. I’m a bit ashamed of myself. Being English, a word such as that trips off the tongue quite often. Many English people swear like troopers and I’m one of them. But hang on – I’ve lived in the USA for many years now and Americans are more prudish. So, torn though I was, the USA part of me triumphed. Hence my shame. But still. And I have to tell you that the residents of the village are called Fuckingers. This is true. However, we must also bear in mind that the word is not pronounced in the way that I do if I’m referring to my manic pet (‘cooking fat’ – think Reverend Spooner). No, it doesn’t rhyme with sucking or tucking but it’s more of an ‘ooo’ sound than a ‘u’ sound. Mind you, the fact that we even know about this village at all is the fault of American servicemen. When they were stationed nearby during the Second World War, it was they who discovered the place and started stealing the signs or having their photographs taken alongside it. Until then, it had had its name for hundreds of years and no-one thought anything about it at all. But once it became known to a wider audience, the residents wondered whether they should change the name to avoid the sign thefts and the bawdy jokes. They decided not to. Good.